With unrivalled variety across a great range of hair and make-up products, Glossybox offers customers the opportunity to explore and discover a world of amazing new beauty products every month. With a range of plans available, from monthly to annual, Glossybox wants everybody to be able to enjoy their wonderful service. What’s more, treat yourself to one of their unique and exquisite Limited Edition boxes, and you can tap into something truly luxury and extraordinary. Receiving your Glossybox will be the highlight of your week, as you open it up to discover an awesome range of new beauty products that will make you feel a million dollars. With a mix of haircare, skincare and beauty products, your Glossybox will contain everything you need to look as good as you feel, and with the products always changing, you’re sure to keep turning heads day in, day out. Sign up to Glossybox’s mailing list to receive exclusive news and deals. How old do I have to be to subscribe to Glossybox? Glossybox only accepts orders from those old enough to enter into legally binding contracts, those over the age of 18. Do students get a discount at Glossybox? 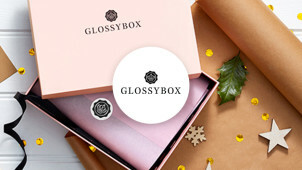 Glossybox have teamed up with UNiDAYS to offer an incredible 50% off the cost of your first box. What payment methods do Glossybox accept? Glossybox accepts payment via PayPal, and all major debit and credit cards. Can I gift somebody a Glossybox subscription? Glossybox could make the perfect gift for a loved one. Click here to see various gifting options. Glossybox charge £3.25 for the delivery of each monthly box. Glossybox accepts cancellations within a 14-day cooling-off period following delivery. You will be responsible for the cost of returning the product, but will be entitled to a full refund. To see full cancellation and refund details, see here. Glossybox is a brand like no other, offering tailor-made deliveries of exciting and enticing beauty products direct to your door every month. This amazing service needn’t cost you the earth, though. Grab a Glossybox promo code today and you can save a pretty penny on the cost of your subscription. With a range of great products on offer, from a variety of beauty brands, you’ll be eagerly awaiting your next Glossybox delivery. Glossybox has a variety of options on offer, including 3, 6 and 12 month plans. Every month you’ll receive an amazing new selection of 5 make-up products, from a wide range of brands. With time-honoured beauty giants like Nivea, Head and Shoulders, Aussie and Yves Saint Laurent, Glossybox promises you’ll receive nothing but the best of the best. They’ve scoured the globe scouting out promising new names, too, though, meaning every month you’ll learn about exciting new brands. With the amazing variety of products on offer from Glossybox, every month you’ll have the opportunity to look and feel totally fantastic. From Kryolan’s highlighters to Rimmel London’s mascara, there’s a sensational selection, and with a Glossybox discount code you’ll save a fortune. If you want to mix things up and spice up your make-up box with some fabulous variety, look no further than Glossybox.